Updated: 5:10 p.m. | Posted: 2:44 p.m.
Minnesota is at risk of losing hundreds of millions of dollars in federal funding for the state's health care program for the working poor as it pursues a waiver aimed at lowering premiums for people buying insurance through the state exchange. Gov. Mark Dayton wrote Tuesday to Department of Health and Human Services Secretary Tom Price urging President Donald Trump's administration to "reverse this very destructive financial penalty" to MinnesotaCare, which covers some people who make too much to qualify for Medicaid but can't afford private coverage. 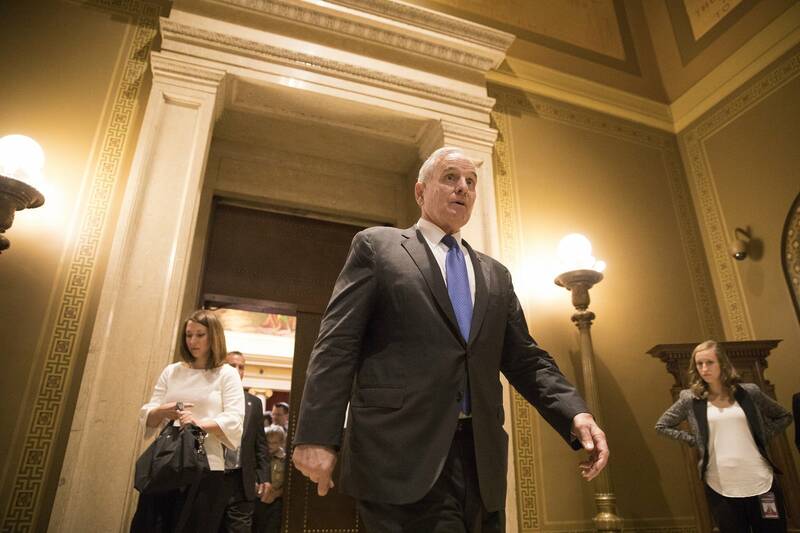 Dayton wrote that the state had been told it would see $369 million in cuts to MinnesotaCare funding as a consequence of approving a reinsurance program. "Essentially, we are being penalized for doing exactly what the President and you have been encouraging us to do: take new reform initiatives," the Democratic governor wrote. State officials have been awaiting the federal government's signoff on a new reinsurance program designed to control costs in the individual market after years of double-digit premium hikes. Minnesota lawmakers stepped up this year to stabilize a shaky individual insurance market. After devoting $300 million to ease skyrocketing premiums for 2017, the Legislature spent an additional $542 million to set up a reinsurance pool for the next two years that will lower rates by helping insurers cover large claims. Preliminary rates released during the summer showed that approach should work: Insurers proposed slight premium hikes and even some modest price drops for 2018 with reinsurance dollars in effect. The rates are to be finalized in early October, and open enrollment begins Nov. 1 for shoppers who buy coverage on their own. But those efforts may come at a steep cost to MinnesotaCare, one of just two so-called Basic Health Programs in the country that are paid for largely by the federal government. More than 90,000 Minnesota residents are covered through MinnesotaCare. Only New York also offers such a plan. It's unclear exactly why Minnesota may lose out on that critical federal funding. Officials with the Department of Health and Human Services did not immediately respond to a request for comment. But funding for basic health programs is tied to the tax credits those residents would receive if buying coverage on a health care exchange. Those subsidies would decrease if Minnesota implements its reinsurance plan. And the blow to Minnesota's budget would be large: The program cost roughly $480 million in 2016, of which the federal government paid almost 70 percent. This year, that share is projected to climb to 86 percent, according to state budget documents. Dayton said federal officials initially assured the state that its federal funding could be protected. But now, the state is poised to lose more in MinnesotaCare funding than the $208 million the federal government would chip in for reinsurance over the next two years. Democratic state Sen. Tony Lourey said Minnesota should quickly move to scrap the reinsurance program and plow the $542 million directly into insurance carriers to buy down premiums, reviving the approach used for 2017. "That's not a good deal for Minnesota. Period," he said of the reinsurance trade-off. "We're better off without it."